Udon noodles are white noodles made from plain flour (not rice flour) and salted water. 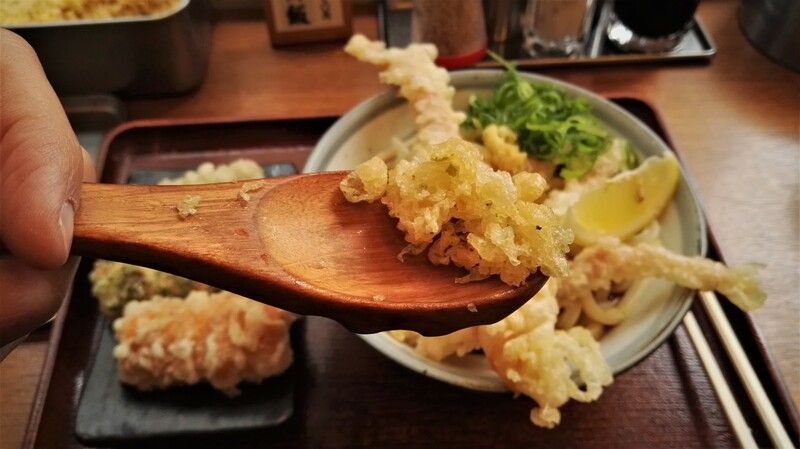 A Japanese staple for more than a thousand years, udon was introduced to Japanese cuisine in the Nara period (奈良時代), AD 710-794. Kishimen (棊子麺/きし麺) is a broad and flat udon noodles from Nagoya. Hoto (ほうとう) is an extra thick udon from Yamanashi. 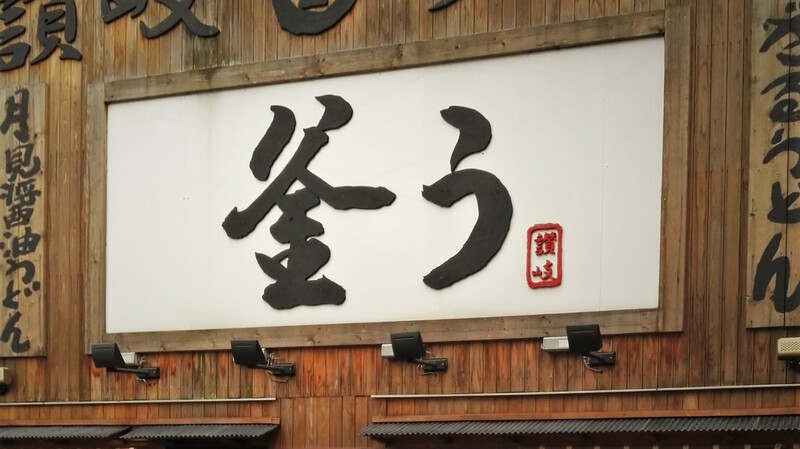 Sanuki-udon is arguably the best-known udon noodles. Originally from the Kagawa Prefecture, its name – Sanuki– refers to the previous name of Kagawa. 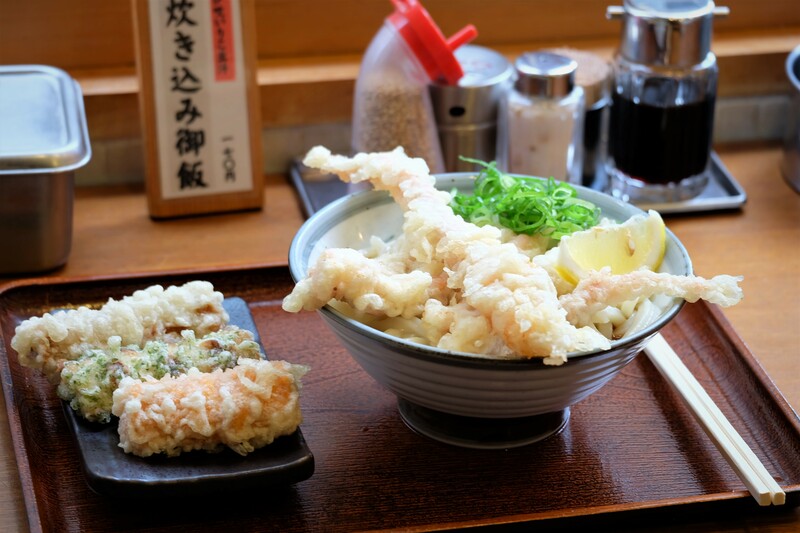 This variety of udon became very popular due to its firm chewy texture and relatively chunky size. 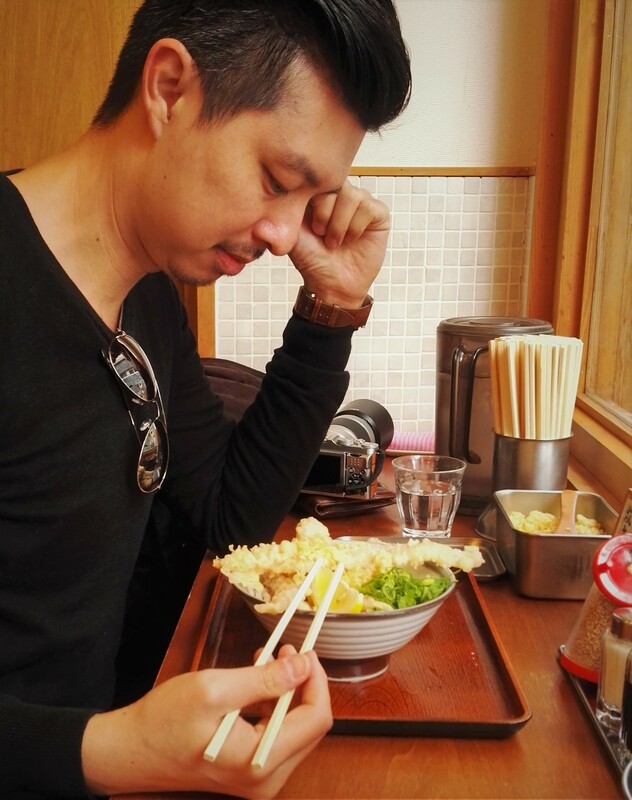 One should enjoy udon as they do it in Japan: with a loud slurp! 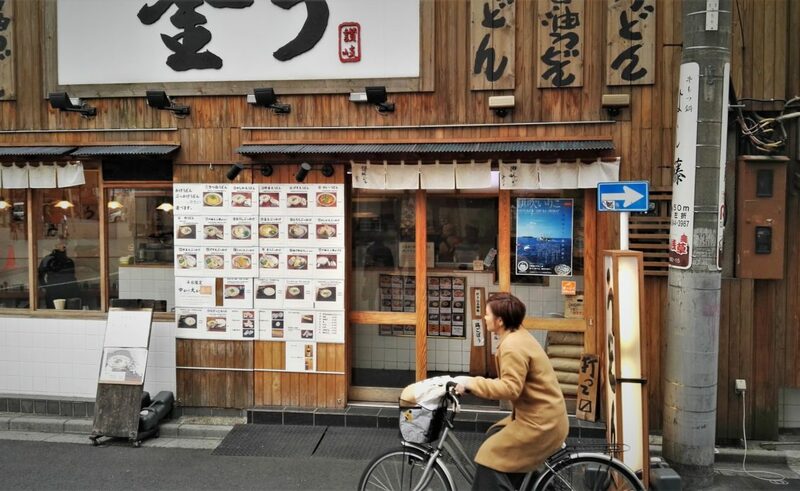 釜う Kamau is a traditional udon restaurant in the busy Asakusa area of Tokyo. 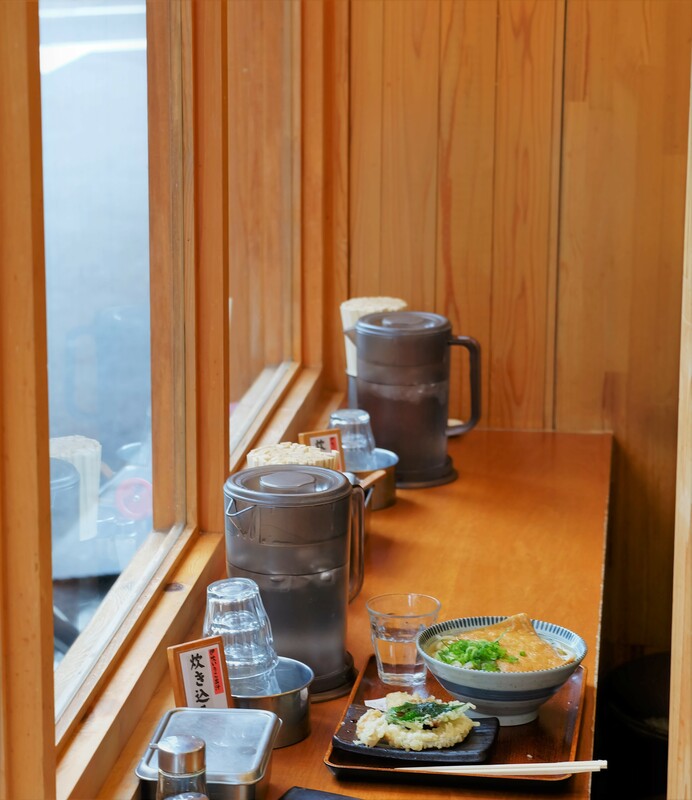 Like in all ramen shops in Japan, you can easily order and pay for your food at the vending machine at the entrance of the restaurant. 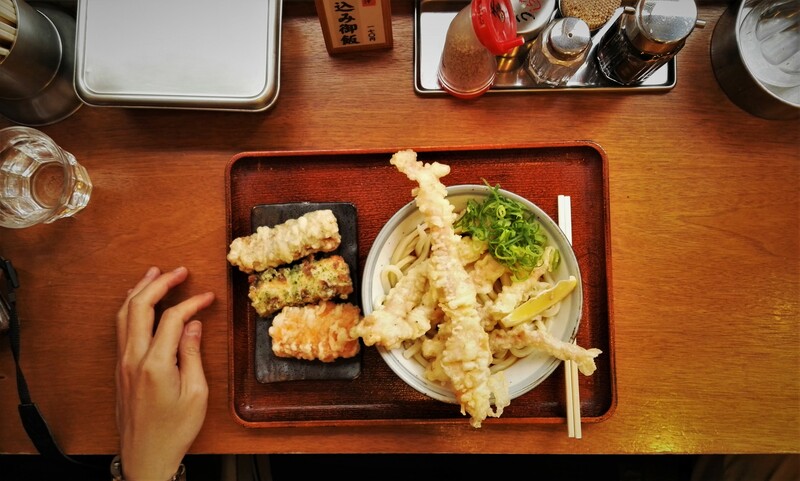 Here at 釜う Kamau, you can enjoy all the different ways listed above to eat Sanuki-udon.